10 Reasons It's A Bad Idea To Sell Your Duplex Yourself | Your best resource for buying, selling, owning and investing in duplexes and duplex homes. If you’ve been thinking about selling your Minneapolis or St Paul duplex, you may have heard they seem to be the hottest thing going in the real estate market. And, well, if they’re selling like crazy, you may even have thought about selling it yourself. Of course, I’m a Realtor, so you may not be surprised to learn I think that may be a really bad idea. And you probably think my beliefs are because if you sell it yourself, a Realtor won’t get paid a commission. The facts, however, tell a different story. According to the National Association of Realtors, last year the average for sale by owner netted 9 percent less on the sale of their property than they would have had they used a Realtor. That’s net – in other words, after they paid commissions. Serious buyers work with Realtors. If you’re serious and in a hurry, or serious and cautious, are you going to be driving around looking for for sale by owner signs? Or are you going to be working with a Realtor in order to see as many properties quickly or have as much protection and guidance as possible? Realtors are free to buyers. The only reason a buyer would want to purchase a for sale by owner is to save the same commission the seller hopes to keep. If you’re willing to pay a Buyer’s Agent a commission, remember, the Realtor only represents the Buyer’s best interest. As such, you’re negotiating with someone who’s studies the market and negotiates deals daily. If the appraiser questions the value of your property, you’re on your own. In a hot market, properties often appraise for less than a buyer is willing to pay. An appraised value for an FHA loan stays with your property for six months and is difficult if not impossible to contest. A Realtor knows the market and can discuss specifics of comparable properties with the appraiser. 89 percent of all buyers search online for properties. An experienced listing agent has a proven marketing plan to maximize your duplex’s Internet presence and exposure. Contracts. While the legalease in real estate contracts isn’t too bad, it is, nonetheless, a legally binding contract. Lawyers cost money, whether you sell or not. If your plan is to have an attorney review your contracts, remember, they charge by the hour. And their fees are payable whether you close on the sale of your duplex or not. 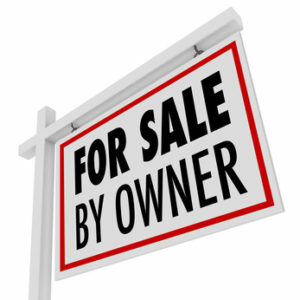 For Sale By Owner companies charge whether you sell or not. Sure, you can pay as you go for the services a Realtor provides. And like an attorney, that money is paid whether your duplex sells or not. The only time you pay a Realtor is when your duplex sells. Realtors work on commission. That means they aren’t paid unless they succeed in selling your duplex. And if we don’t? We are out all of the money we spent marketing your property. If you’re thinking of selling your Twin Cities duplex, and want to net as much money as possible in the least amount of time, call or email me. I’d be happy to help you maximize your return.